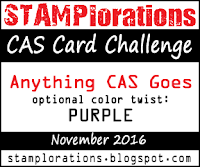 I am sharing an acetate card here now. I had used the lotus image which I shared on the Instagram, which i colored a few days back. I used Faber Castell color pencils to color the lotuses from Waffle flower her, and fussy cut only the top a bit, and added it to the acetate base. I aslo did some stamping on the acetate using the dragonflies. I used another fussy cut one too, a few pearls to finish off. The sentiment is also from the same set. This is beautiful, Rahmat! I'm impressed with you using acetate! That's very tricky and you've done it perfectly! 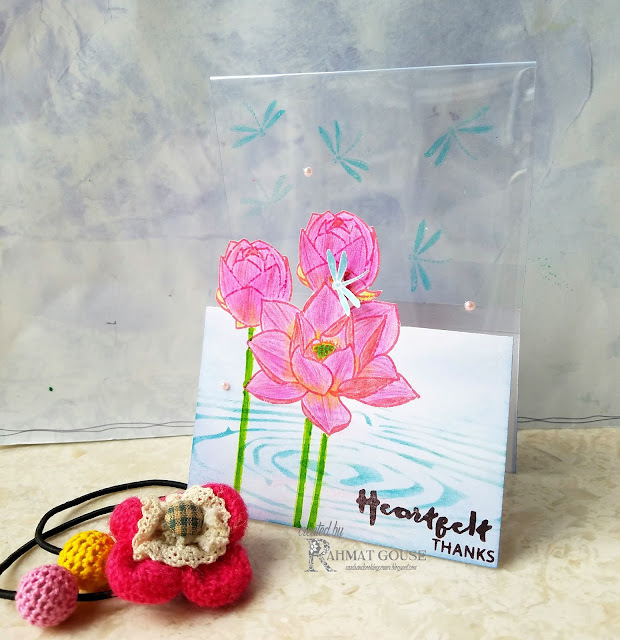 Beautiful flowers and I love how you've used the stencil to look like water! Thanks so much for sharing this with us at CAS Mix Up! 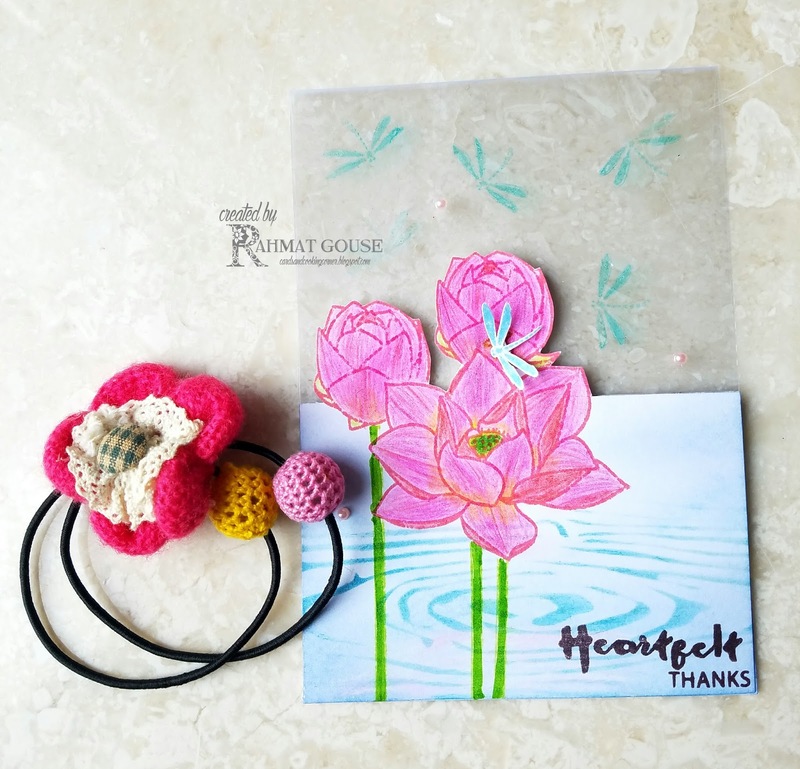 Such a pretty and creative card Rahmat and I just love that water effect! Thanks for sharing with us at ATSM and I hope to see you again soon. Really pretty! I love the effect of water ripples for the flowers..so neat!! Oooh, so pretty! Love the acetate! 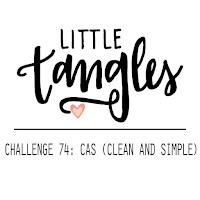 Thanks for joining us at Little Tangles!